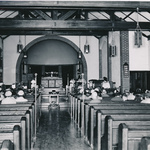 St. Barnabas began in 1913, when it was determined there was a need for a Sunday School on the east end of the city. The numbers began to swell and so it was determined that a new and permanent building was needed. 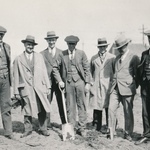 The new building was opened in 1934 and remained in operation until the early 2000s. 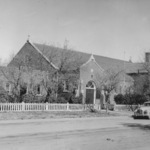 At that time the city's four Anglican churches amalgamated, which resulted in the closure of the St. Barnabas building. 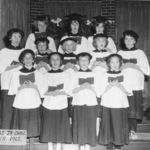 In 2004 a group of parishioners sought out a traditional Anglican service. 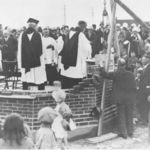 They entered into an agreement in which they would become a mission of the Church of Epiphany in Regina. 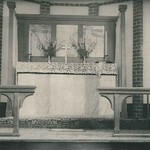 Services were held once a month at the chapel in Chateau St. Michael and Fr. Dennis Dickson led the services in both Moose Jaw and Regina. Demand soon necessitated that the services be offered twice a month, alternating bi-weekly with Church of Epiphany. 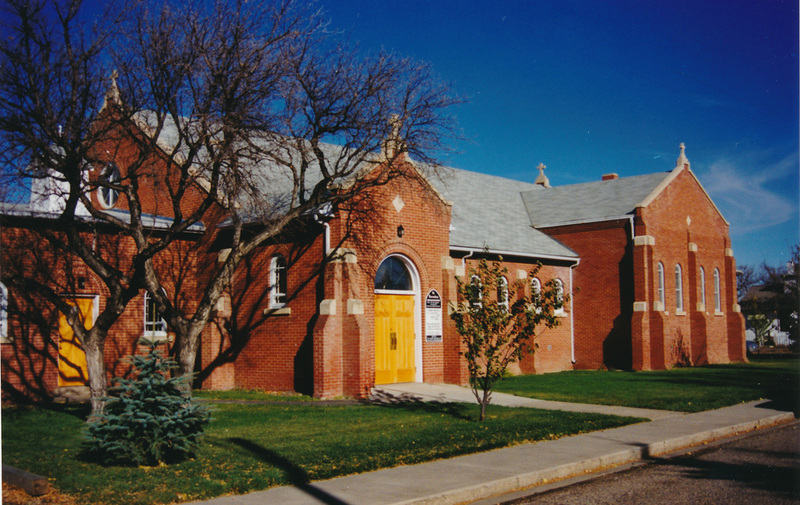 In 2005 parishioners opted to adopt the name St. Barnabas in honour of the former St. Barnabas church. 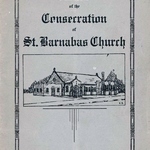 St. Barnabas received official parish status from the Traditional Anglican Communion in 2006. In 2008 Church of Epiphany dissolved and St. Barnabas started holding weekly services at Chateau St. Michael. 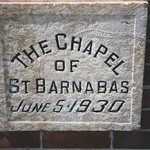 St. Barnabas relocated to Parkview Funeral Chapel in 2011, which remains our home to this day. In February of 2012 we were saddened by the death of Fr. Dennis. Father Glenn Galenkamp has since taken over as our rector. 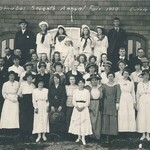 In 2013 we celebrated the 100th Anniversary of the Parish of St. Barnabas in Moose Jaw. 2014 marked the 10th Anniversary of the revival of St. Barnabas. In March 2018 we moved to our present location at Central Lutheran Church. 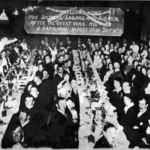 Below you will find a gallery of historical photos. To view the photos, click on a thumbnail. You can then scroll through the gallery by clicking the arrows under the photo. To make them larger, click the button that says "LARGE" at the bottom right. Please note there are more photos in the gallery than those featured in the thumbnails below.